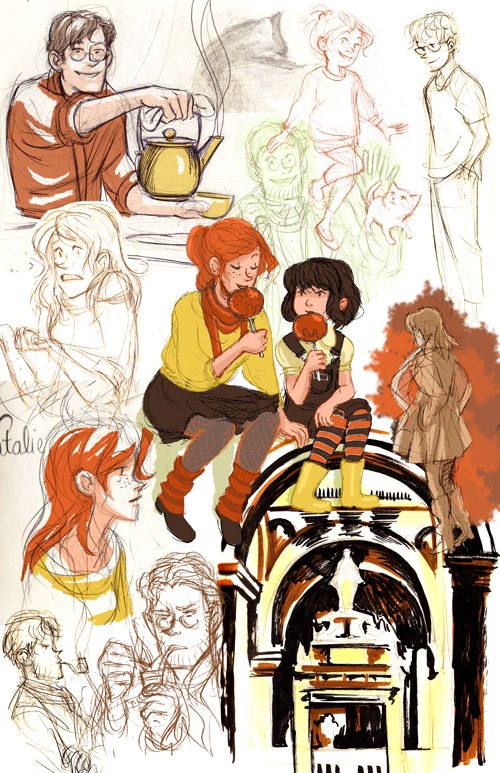 This sketchpage is nearly all characters of mine, though I did do some drawing at the Basilica (lower right) and there's a cat near the top that was a life study. I don't remember whose cat that is. Kind of worrisome.